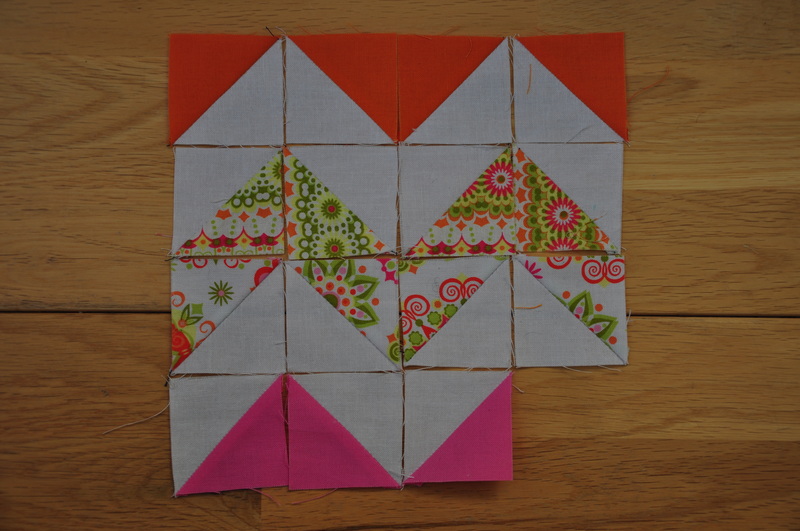 In the mug rug tutorial I used some half square triangle blocks and just sew them next to each other to make simple rows. 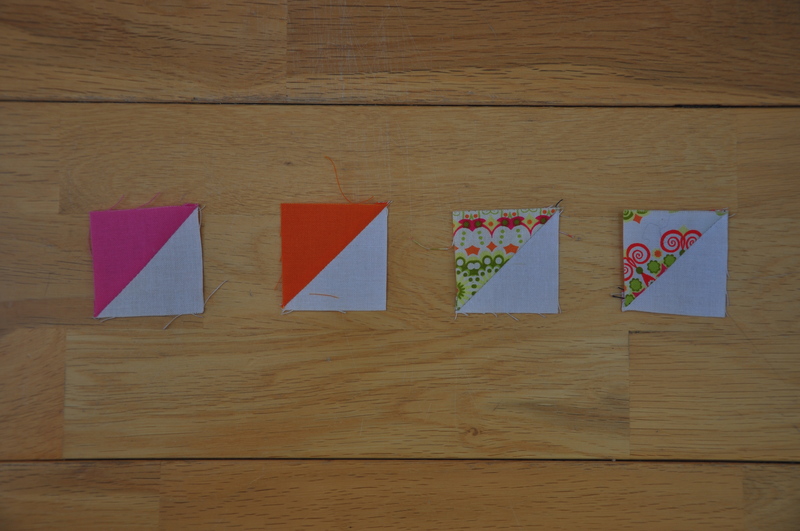 This mini tutorial is just to show you what you can do with half square triangles. 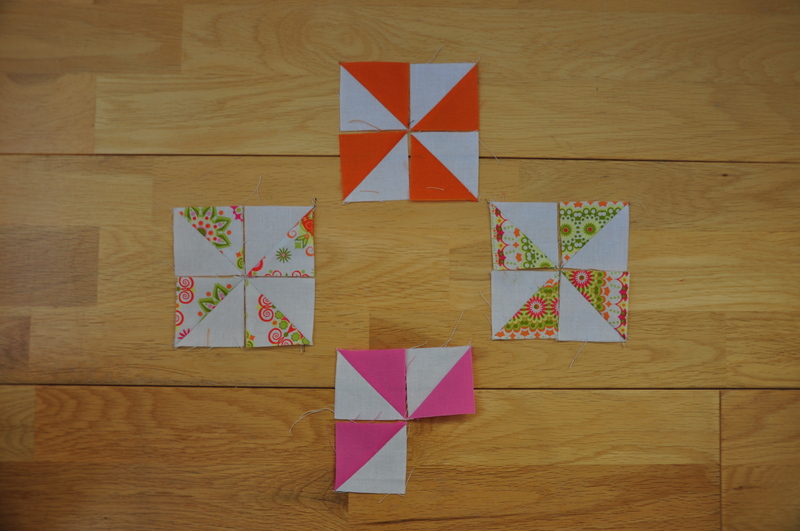 or why not let your creative mind run wild and create whatever tickles your fancy! 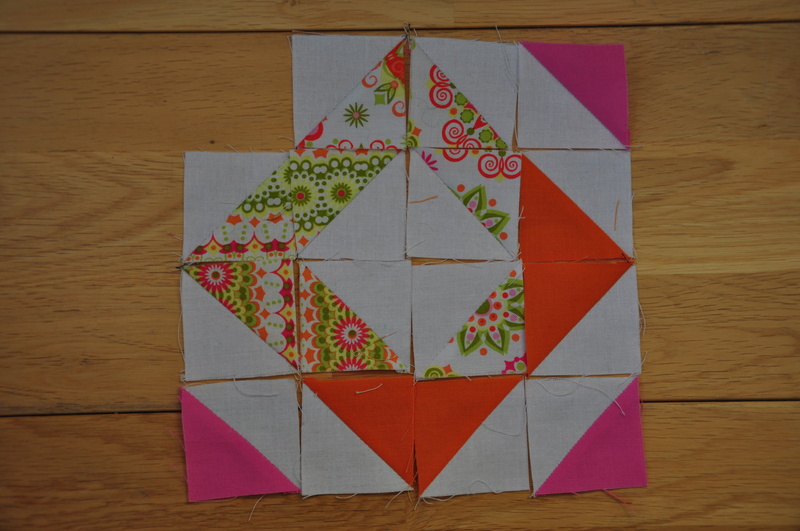 send me pics of your half square triangle blocks if you want!